True collaboration requires flexibility and quick transitions between content sources. Zooming in and out, switching content and progressing as a team. Sharing multiple sources simultaneously is vital. Participants will often join from remote locations in a collaboration session. The capability to add multiple video calls will enable full team participation and interaction. Today there are numerous applications for video conferencing. When third parties join there should be a seamless experience to join the meeting, regardless of what technology they use. 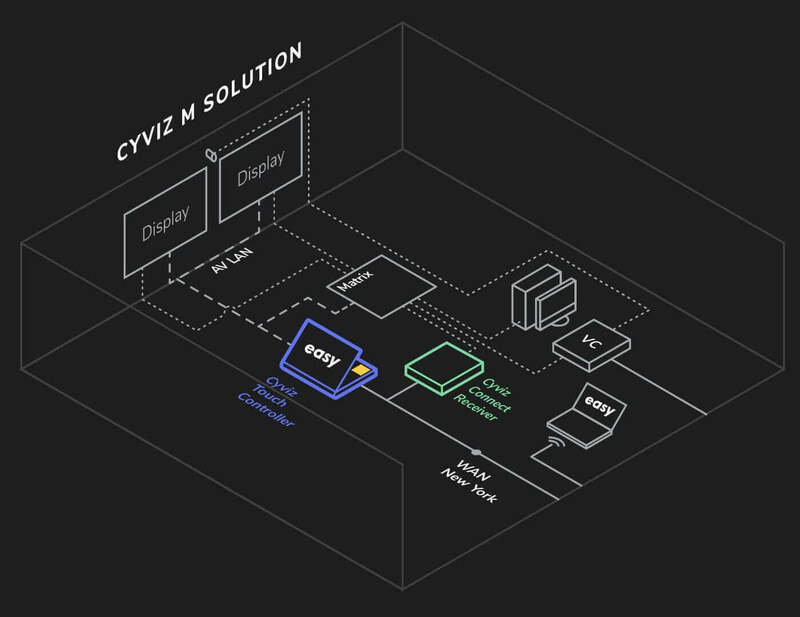 The Cyviz Easy Platform is the core of any Cyviz space and the IT-driven design connects the different solutions; A, M and X. Cyviz Easy Server allows for centralized management and configuration, in addition to ability to resolve issues via remote support. 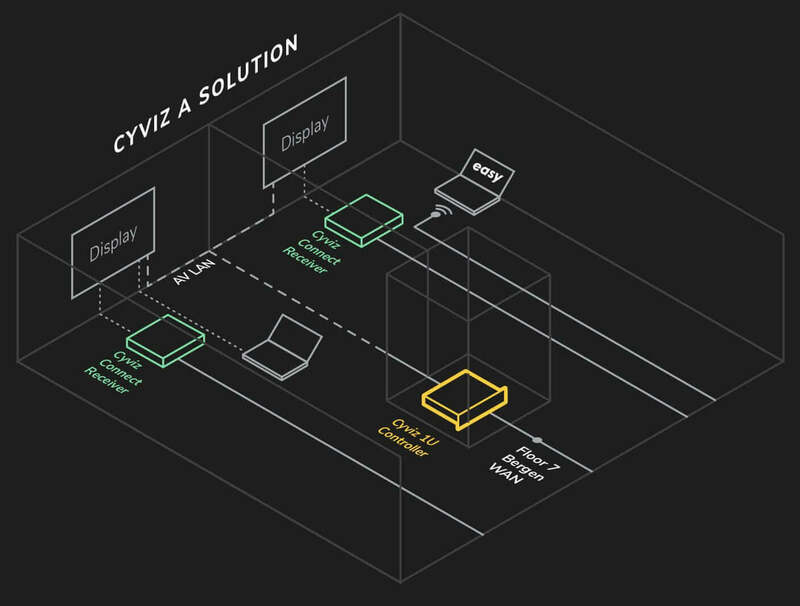 Cyviz A solutions are designed for smaller rooms without need for direct user interaction via a touch panel. Share your content using a laptop and a browser interface. The rooms are controlled by automation and intelligence provided by the Cyviz Easy Controller software. 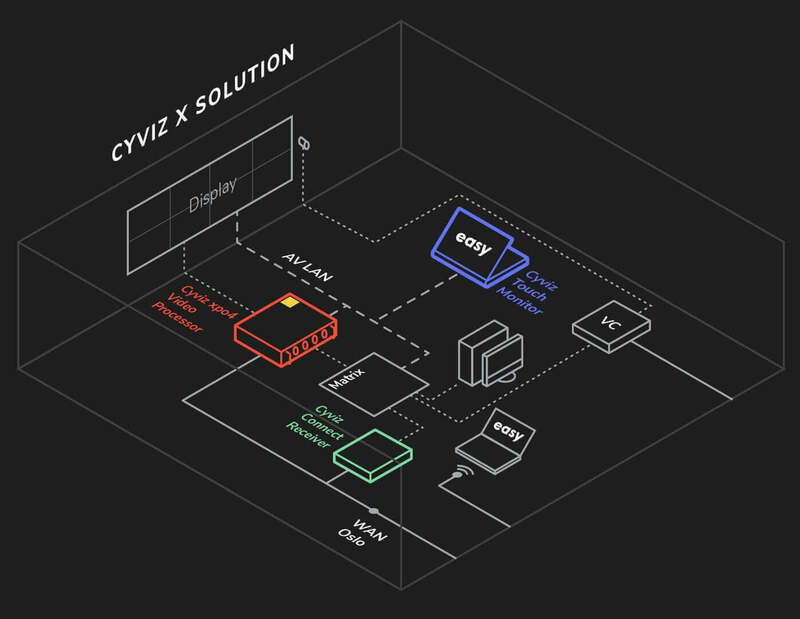 Cyviz X Solutions are high-performance solutions consisting of a large high-resolution display wall, a Cyviz Video Processor and the Cyviz Easy Controller system. These powerful solutions are typically used for comprehension of complex data, visual collaboration, multipurpose spaces, command & control, and advanced digital signage.